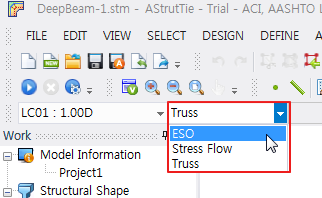 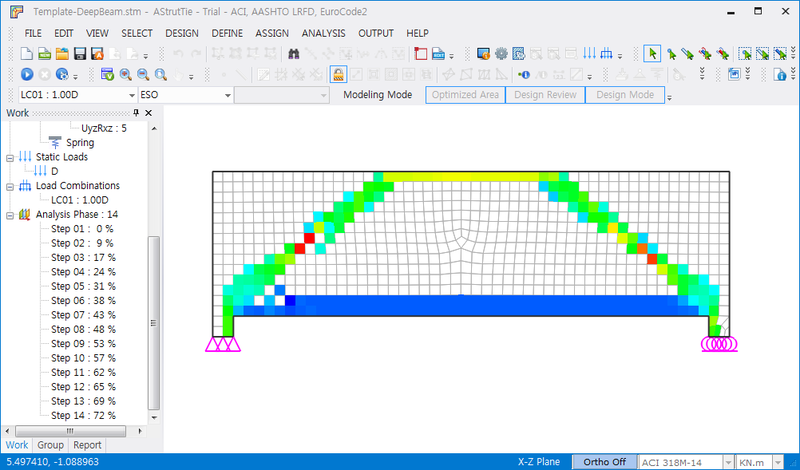 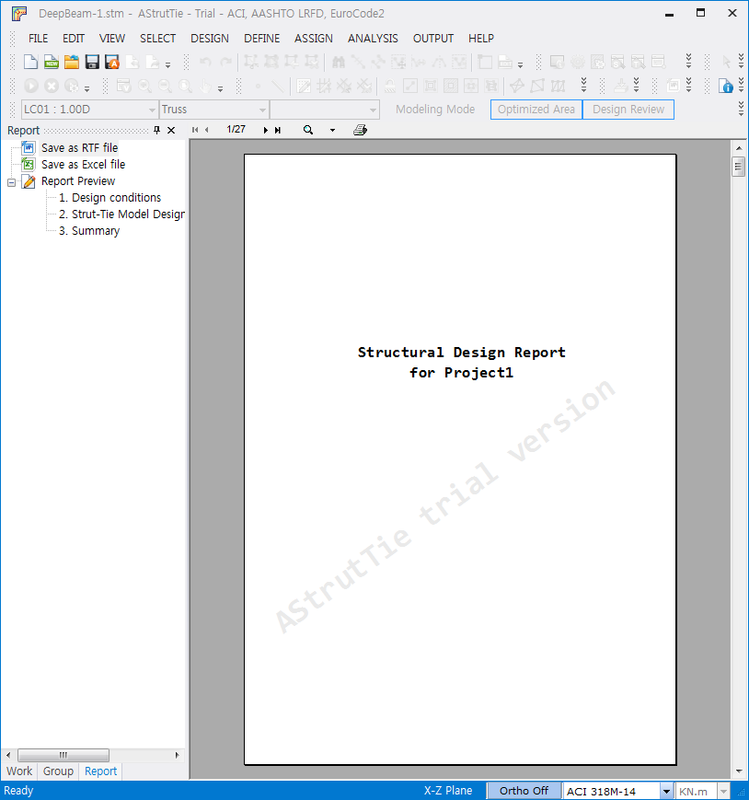 Let’s look at how to input and use the AStrutTie program through the design of deep beam using strut-tie model. 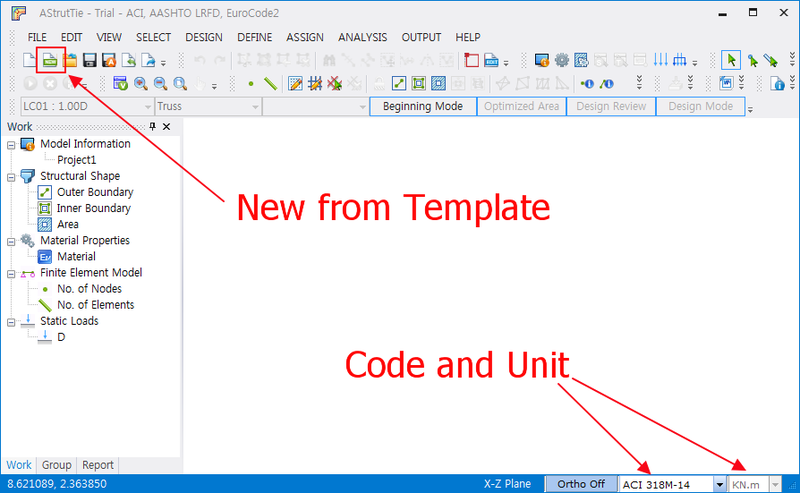 Click [New from Template] -> The function is activated only in Template Module. 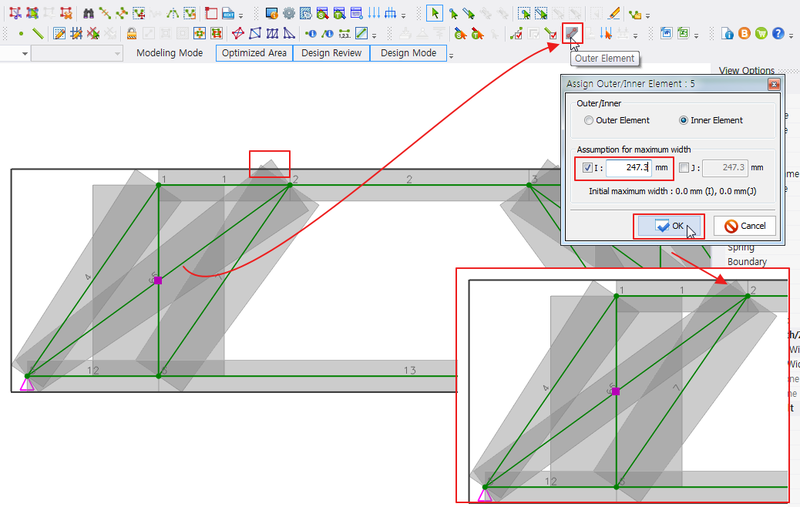 Enter the same as the screenshot below. 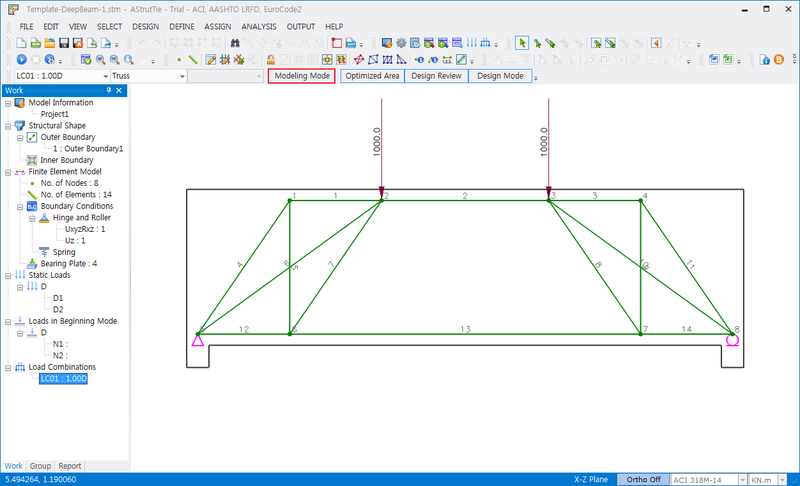 B is thickness of beam. 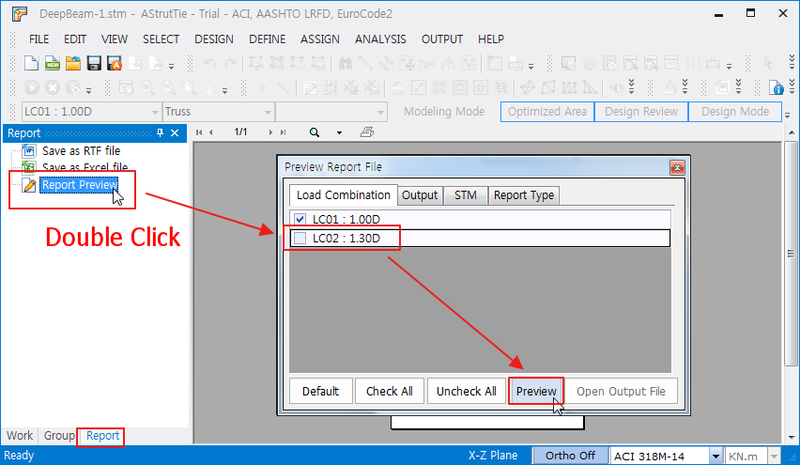 Click on the load in the Work Tree and check it on the screen. 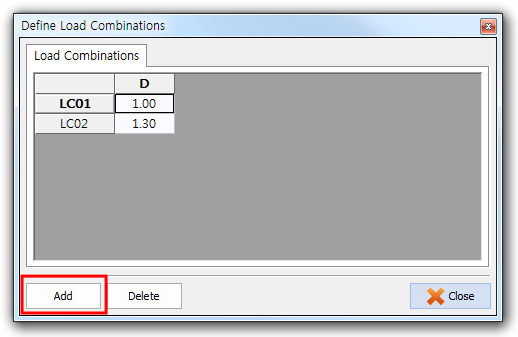 – Select [ESO] – The function is activated only in Professional Version. 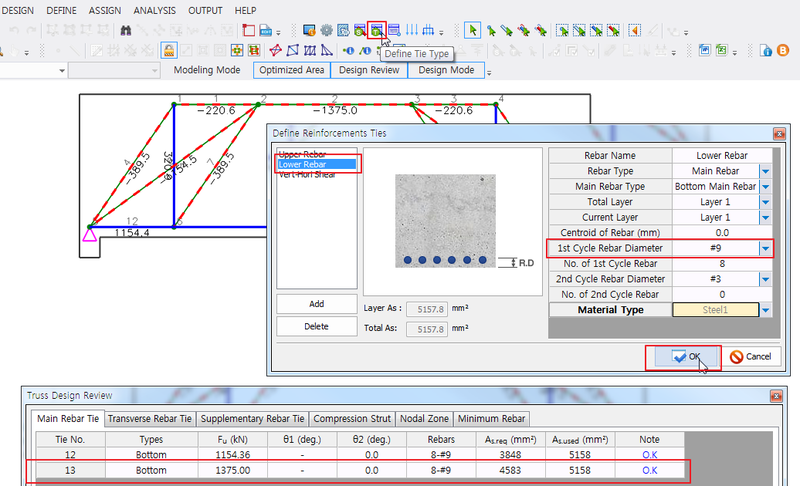 When template is used, all load conditions and boundary conditions are automatically modeled. 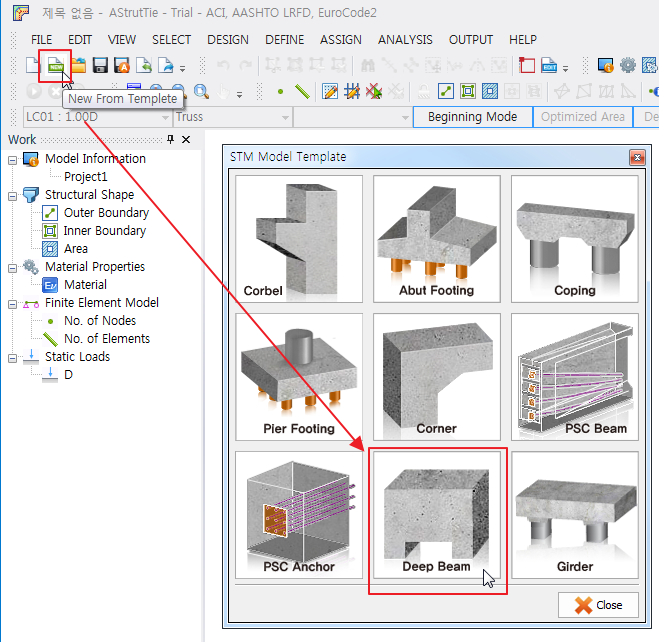 When Template is used, Truss Modeling, Load Assign, Set Restraint, Create Inner Element, Define Tie Types, Assign Tie Types, Bearing Plate and boundary conditions are automatically modeled. 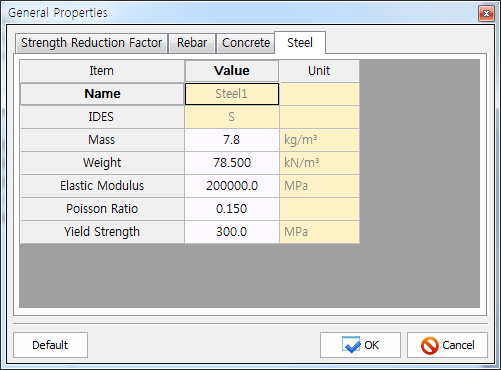 are displayed by executing the function DESIGN-Element Information or ASSIGN-Outer Element. 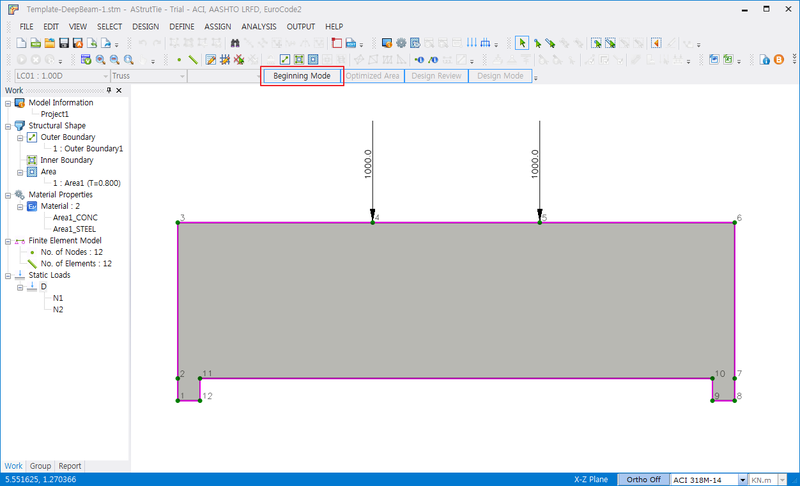 The available widths can be modified. 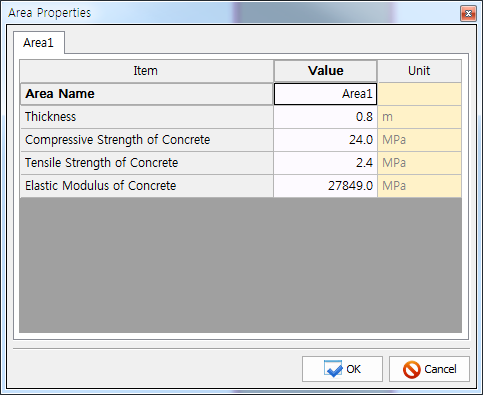 The protrusion at the top is the max width considering the bearing plate. 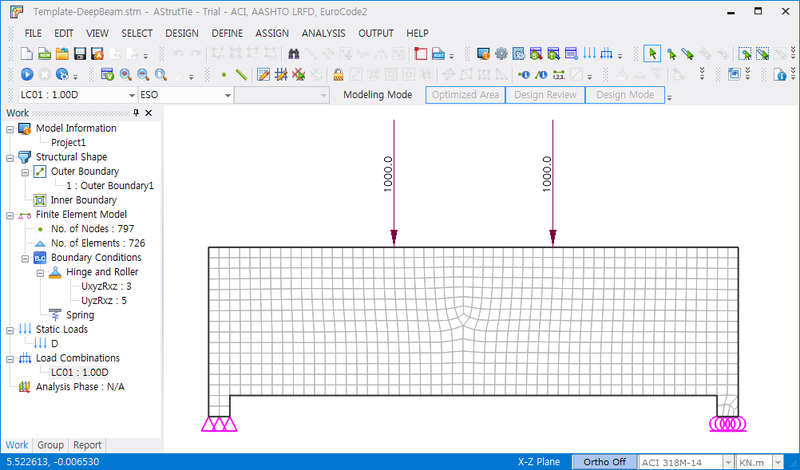 If you want to change the max width of a member, you can change it by two methods. 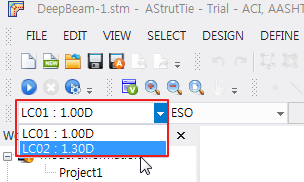 The first is assign of Outer Element, the second is edit of Element Information. 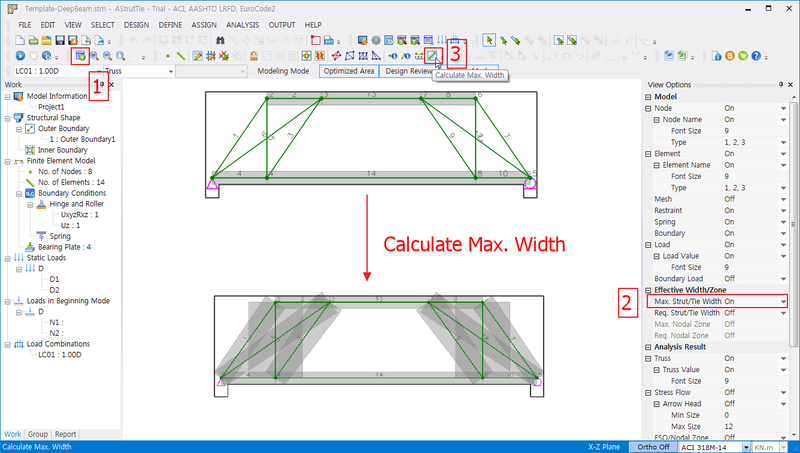 Reducing the maximum width with this function will result in a more secure design, but overshooting can be over-designed. 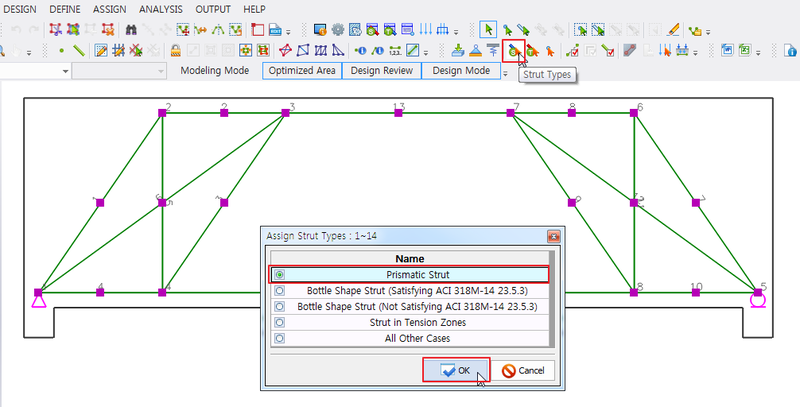 In this example, all struts are set to Prismatic, but you can apply them differently at the designer’s discretion. 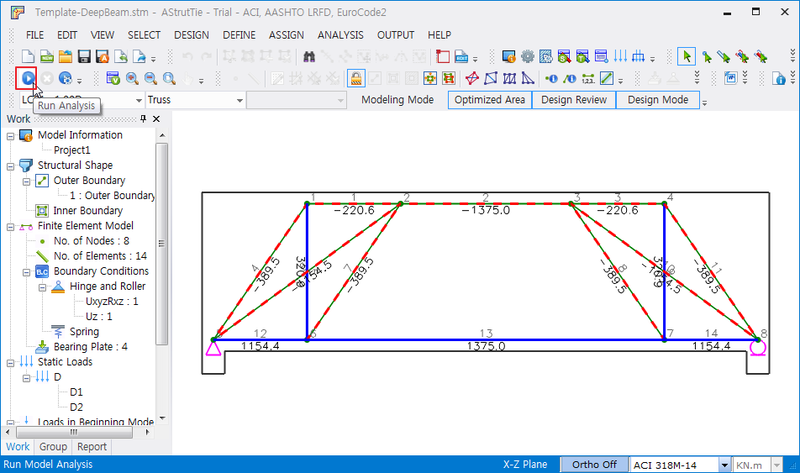 An indeterminate truss will show different results depending on the selected strut type. 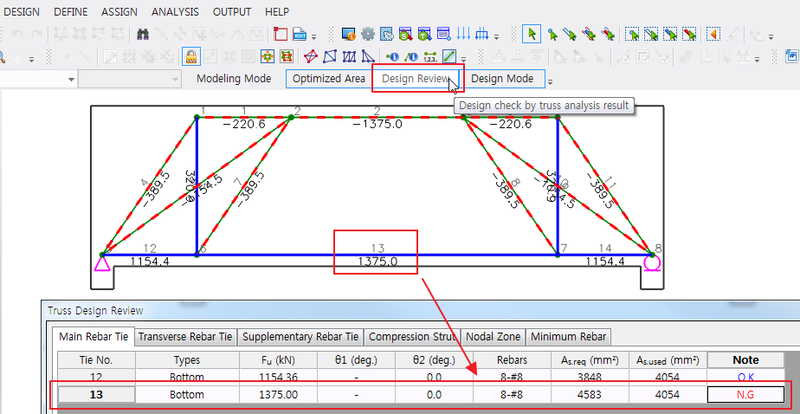 Need to increase the amount of lower rebar. 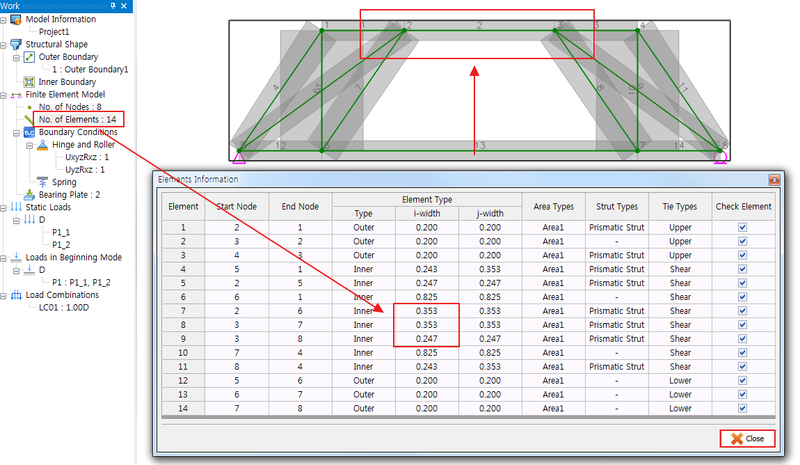 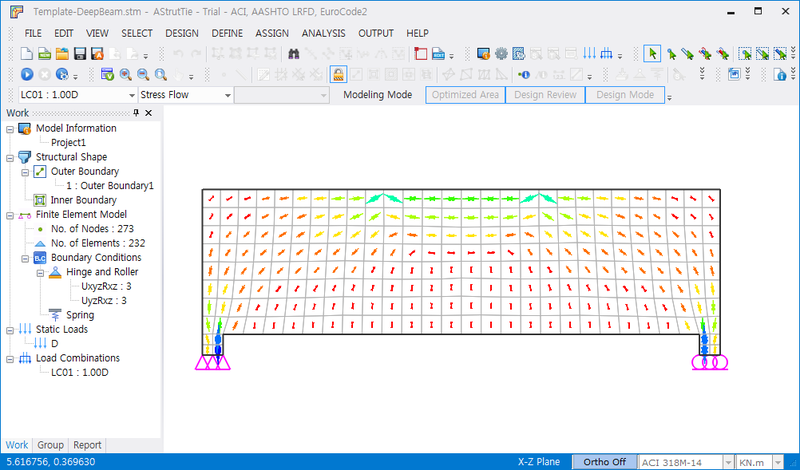 Main Rebar Tie is OK.
– rtf, xlsx output are proceed in the same way.